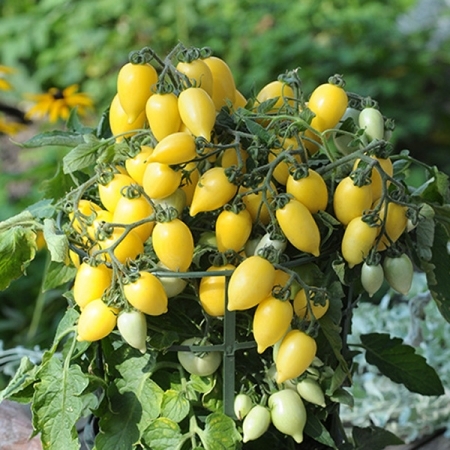 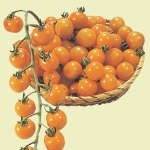 New plant breeding has produced plum shaped Tomatoes which uniquely develop above the leaves and spread like a blanket over the foliage giving a striking ‘umbrella-like’ presentation. 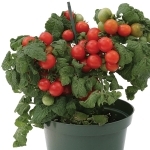 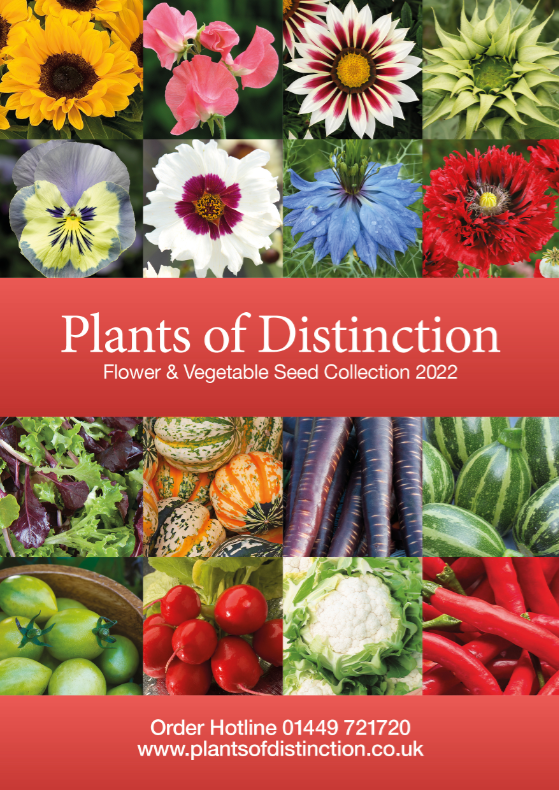 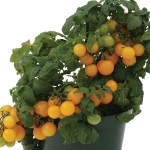 The plants have a dwarf and compact habit growing up to 8” (20cm) and are suitable to be grown in 4-6” (12-16cm) pots. 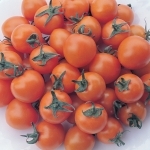 The leaves are very heat tolerant and the numerous plum shaped fruit ripen early and are deliciously sweet and easy to pick.